Americans love to eat out, and people with food allergies are no different in their desire to relax, enjoy a meal and have someone else do the cooking. According to Statista, an online data and statistic gathering resource, 83% of Americans dined out at least once a week in quick service restaurants and 68% dined out in casual, sit down establishments in 2013. That’s a lot of eating out! For those with food allergies, it can be a real challenge to safeguard against an allergic reaction when dining out. The good news is that restaurants are more prepared for individuals with food allergies today than they were years ago. More awareness, the Food Allergy Labeling and Consumer Protection Act (FALCPA), and specialized training for restauranteurs on accommodating and even treating an individual with food allergies has made both the consumer and restaurants more confident in handling this issue. You’ll be ahead of the game if you have an idea of where you’re going out to eat. A great resource when you’re planning to eat out is the restaurant guide from AllergyEats, where you can specify your food allergy and search for appropriate restaurants based on your address and zip code. Check for nutrition information ahead of time, as many restaurants, particularly chain restaurants, have nutrition and ingredient information available online. Chain restaurants, like Olive Garden, tend to have tighter controls on their ingredients and preparation methods than a small-scale independently owned restaurant. Find more than one meal option, so you have a back-up plan in case the restaurant runs out of the first item, or they change the preparation or ingredients. Last, avoid peak times when servers are distracted, busy, and may forget your food allergy needs. The first hour of operation is a good time to go, as staff is alert and the kitchen is cleaner. Choose restaurants that offer what you can eat. For example, stay away from seafood restaurants if you are allergic to fish or shellfish, and Asian restaurants if tree nuts or peanuts are a no-no. Stay away from restaurants that are a high risk for cross-contamination like buffet-style service and all-you-can-eat restaurants. Watch out for pre-made packaged options, like sandwiches or salads. If they contain an allergen, removing the allergen will not remove the risk of allergic reaction. In this case, cross-contamination makes the item unsafe to eat. Have a general knowledge of ethnic cuisines, such as Asian fare which tends to use peanuts and other tree nuts in dishes. Bakeries tend to use egg, wheat, milk and nuts, so also steer clear of these establishments (unless they cater to the food allergy community). Direct contact with an allergen and cross-contamination is a real concern in these establishments. 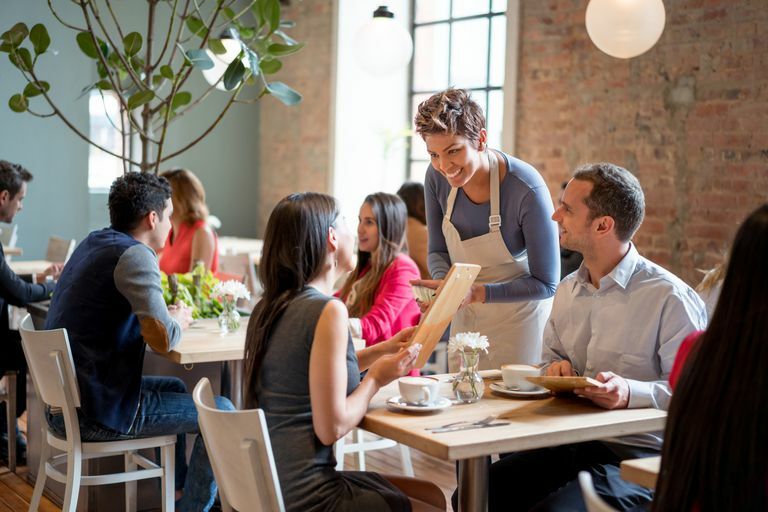 Talk with the restaurant manager ahead of time, and let your waiter or waitress know about your food allergy early on in your dining experience. You can use a chef card, which details your food allergies and how to avoid cross-contact in food preparation. Make your own card or use a template such as this one. Don't be afraid to ask about the menu items and the specifics around food preparation. If you’re feeling unsettled about eating safely in a restaurant establishment, ask to speak to another wait staff or manager, and remember, you can always skip eating and just enjoy the time together with friends or family. It’s best to keep your meal order straight forward and simple. A grilled steak or broiled chicken, baked potato (naked, without butter, etc), and steamed vegetables may be one of the safest meals to order. As meal items become more involved and complicated, the risks for allergen exposure, cross-contamination and an allergic reaction go up. Avoid fried foods as they may be contaminated with other foods to which you may be allergic. For example, chicken nuggets, French fries, and fried fish may all use the same deep fat fryer. Watch out for desserts—they are often made off site, especially in sit-down establishments, and wait staff may not know or have access to the precise ingredients. As mentioned above, use an allergy card to convey your food allergy, which looks like a business card and can be printed in English or translated to another language if you're traveling outside of the United States. These are helpful, especially in objectively stating your food allergies, but don’t let them replace a conversation with your wait staff. Bring your emergency medicine such as antihistamine and epinephrine. In fact, never leave home without it!